I’m in such a foodie mood lately. 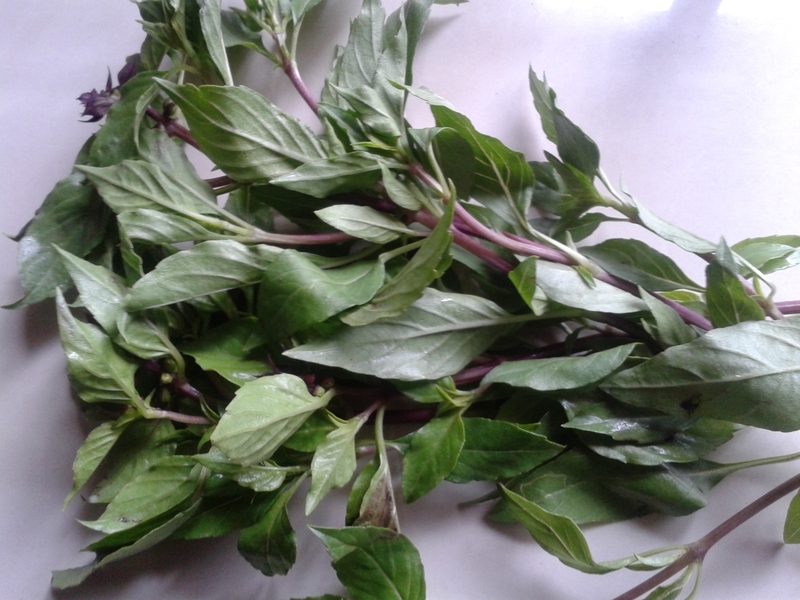 Yesterday’s post on the amazing Vietnamese dish “Bun Bo Nam Bo” got me thinking food, so here’s a short follow-up on an essential ingredient in many southeast-asian dishes – Thai Basil. Thai basil makes itself known in a couple ways. First, its smell. Just bringing it into the house or fridge gets the minty-goodness of it fragrantly sharing itself with everyone. And if you start chopping it, get ready for comments like, “What’s that smell? It smells so good.” “Thai Basil” is the answer. Thai basil is stronger. It doesn’t have the more delicate sweet flavor of sweet basil or Italian basil. Thai basil commands to be recognized, and when you try it for the first time, it may slightly overpower you. But the flavor becomes intoxicating and addicting. The first time I ordered “padprik chicken” here in Malaysia, the flavor took me back a little because it was so flavorful. But oh my, it has become one of my favorite dishes in the world. 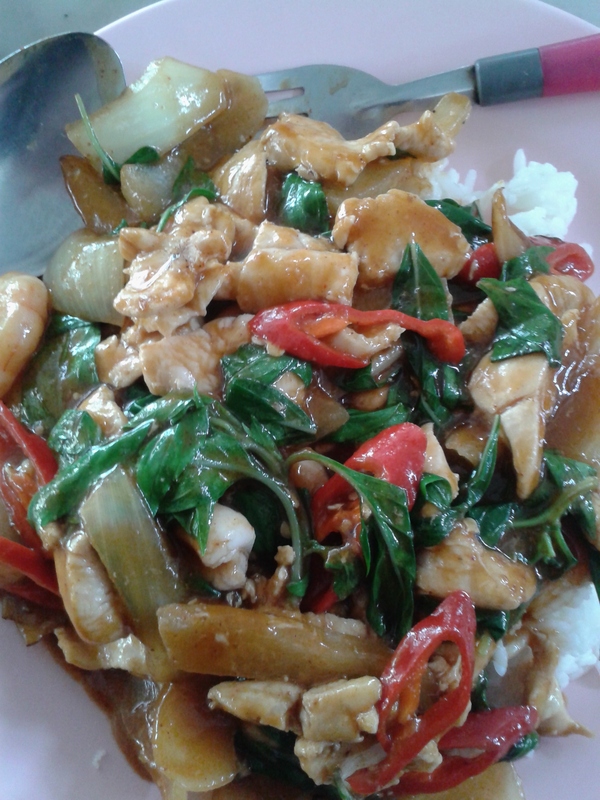 Many westerners order the tried and true “cashew chicken” from my favorite Thai lady, but I keep insisting for them to upgrade to real Thai taste and try the padprik chicken with its delectable basil. If you don’t live in Asia, you might need to track it down at your local Asian mart. Enjoy! This entry was posted in Life and tagged cooking, cooking stir fry, curry, recipes, southeast asian cuisine, Thai basil, Thai cuisine, Vietnamese cuisine by sassevn. Bookmark the permalink. Love it! I grow Thai Basil here in my garden in Pensacola, Florida. You are making me hungry! LOL!